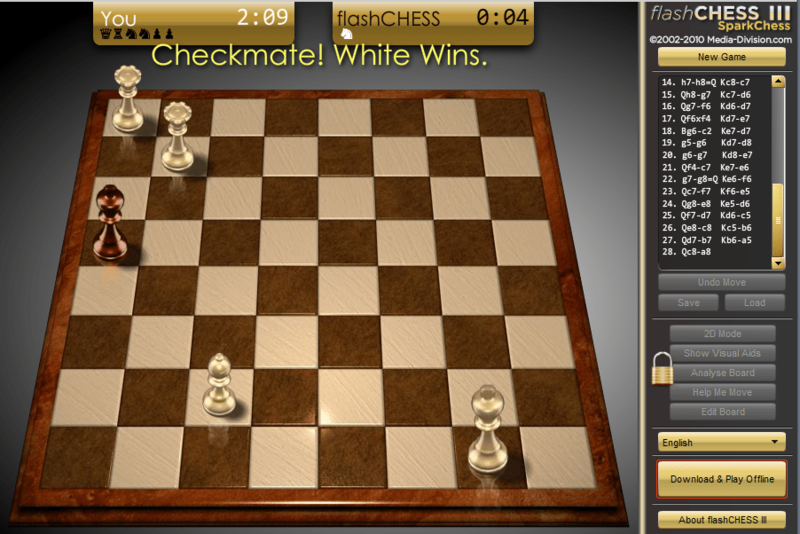 SparkChess is a chess game perfect for the coffee break and for showing off the capabilities of Flash. 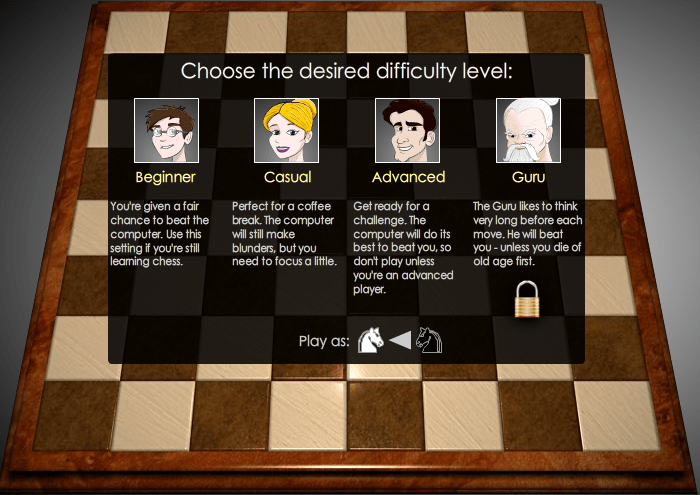 You can play against the computer at different levels of difficulty while SparkChess looks impressive, including a simple animated slide of the pieces in its isometric 3-d view. You can choose a difficulty ranging from beginner on up to casual and then to advanced. A higher difficulty, Guru, is available only if you have the paid, offline version. Once you’ve chosen a difficulty and the color you want to play as, the game will begin. White makes the opening move and a timer will start so you can practice for faster responses. The game history is recorded on the right-side and there is an option to Undo your Move in any of the difficulties. Beyond that, the game is basic chess. You click the piece you want to move and then click the green highlighted square (where that piece can possibly move) where you want to move the piece. After that, your turn is over. Repeat until you checkmate the computer or they checkmate you. 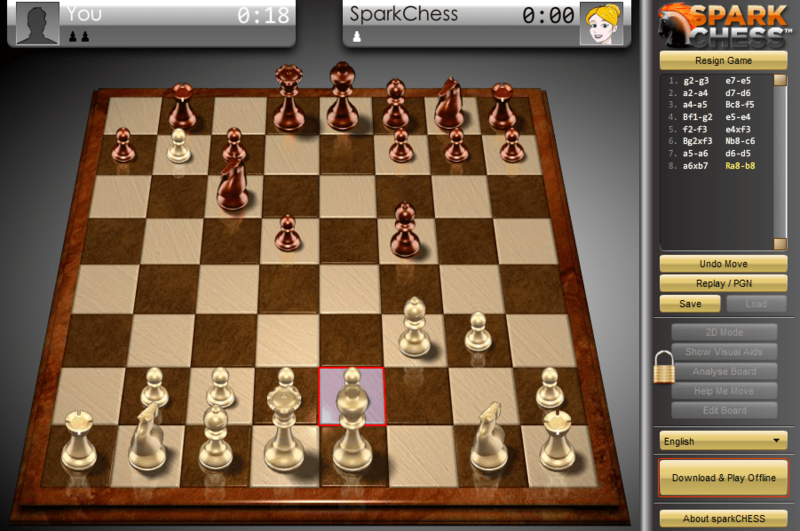 Beyond just games of chess, SparkChess also has a few chess puzzles which you can load up. You’re then supposed to complete the game from how the pieces are setup. Some are certainly pretty interesting. Check it out at SparkChess.com.